Every year for Christmas I make so many cookies to give away that by the end of it all, I am cookie’d OUT! I have my standard cookies that I make every year and then each year I always like to try out some new ones so when I came across this recipe I thought, I’m on it! I dipped these and sprinkled the crushed candy canes on them when Brianna had friends over. They liked them. Me? I thought they were all right. I’m a sucker for Girl Scout Thin Mints so these fell way short of my expectations and I decided that I clearly didn’t have the secret ingredient: crack! In a small bowl, whisk together the flour, cornstarch, salt, and cocoa powder. In a large bowl, cream together the butter and sugar. With the mixer on low, add in the milk and extracts. Gradually add in the flour mixture until thoroughly incorporated. Preheat the oven to 375 degrees. Line a baking sheet with parchment paper and set aside. Slice the rounds into 1/4 thickness, anything more than that and they will not be crisp. Add to prepped baking sheet. It’s okay to place these close together as they will not spread much. Bake for 13-15 minutes, until the edges of the cookies are firm. Transfer cookies to wire rack to cool completely before dipping in chocolate. Melt the chocolate and butter together in a microwave safe bowl for 1 minute and then 30 second intervals until smooth. Once smooth, stir in the peppermint extract. Dip each cookie into the chocolate mixture, turning with a fork to coat. Transfer to parchment lined baking sheet for at least 30 minutes. 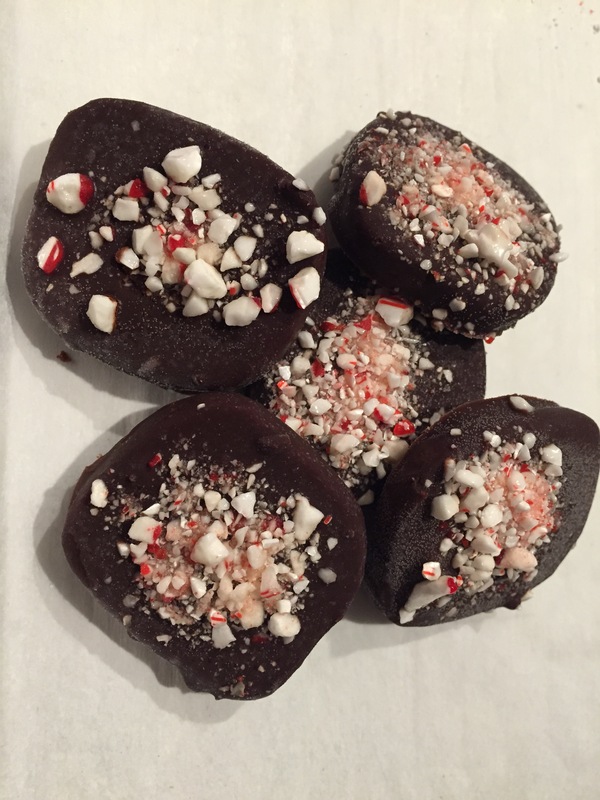 If desired, top each cookie with crushed peppermints after dipping.